Matt LeBlanc has signed a deal to appear on Top Gear for at least two more years. The former Friends actor joined host Chris Evans for the recent 23rd series of the show, which aired earlier this year. While Evans later stepped down as the result of criticism over his hosting skills, LeBlanc received positive press and is now expected to present subsequent series alone. Guest presenters Chris Harris, Rory Reid, Eddie Jordan and Sabine Schmitz will also reprise their roles on the show – and of course The Stig is set to return. LeBlanc will receive £2 million for his signature, a pay rise the BBC finally accepted after the loss of Great British Bake Off earlier this month. BBC Studios boss Mark Linsey has opened up to The Guardian about all things Top Gear, including confirmation that the studio is not currently looking for a Chris Evans replacement. Addressing the latest season of the motoring show and how it failed to rev up long-time fans, Linsey defended: “Top Gear was a phenomenon, but it certainly didn’t start as a phenomenon. It grew over time. When you are trying something new, albeit with a well-known format, but certainly with a new cast, it is going to take time. “If you look at the first series of the Clarkson era it didn’t even have James May in it”, he continued. “It took 10 years to grow and the new Top Gear needs time to grow. It certainly didn’t surprise me it didn’t do the audience figures of the previous series”. So, is the Beeb looking to replace Chris Evans ahead of Top Gear‘s next instalment? “No we are not at the moment”, Linsey said. “[The new Top Gear] was built around an ensemble”, he continued. “Matt LeBlanc was an important part of that ensemble. Clearly the viewers enjoyed Matt LeBlanc, and we want him to come back. Clearly they enjoyed the other Chris [Harris], and Rory [Reid] – they have told us that. “All the elements were there of an ensemble rather than just focusing it on Chris [Evans], and I think that is evident in the way that we produced it. There will be change, but we will be building on the characters that worked, ie Rory, Chris and Matt LeBlanc”. Luckily the broadcaster still has some time on its hands until Top Gear season 24, so let’s hope there’s some improvement when the show returns. The BBC were wrong to sack Jeremy Clarkson for punching a producer on Top Gear, according to former Director-General Mark Thompson. Speaking to The Sunday Times, Thompson said: “Clarkson can be a deeply objectionable individual, and I say that as a friend. I don’t think people should punch their colleagues. It’s hard to keep them if they do. “But I would say his pungent, transgressive, slightly out-of-control talent was something the BBC could ill afford to lose. He spoke to people who didn’t find much else in the BBC. Clarkson was forced to leave his role as presenter on Top Gear last year after news emerged he had attacked a producer on set. Shortly after his departure was announced, Clarkson’s co-presenters James May and Richard Hammond voluntarily left the BBC motoring programme, which was forced to revamp to survive. A new version of Top Gear broadcast earlier this year received ample criticism for its new host, Chris Evans, and scored some of the show’s worst ratings in more than a decade. Jeremy Clarkson is currently working on new motoring series, The Grand Tour, for Amazon Prime Video. It is expected to premiere on the service in autumn. Following Chris Evans’s departure from Top Gear, the official story was that Matt LeBlanc would continue to host the show solo. However, speaking to reporters at the Television Critics Association (TCA) Press Tour, LeBlanc admitted he wasn’t sure he would be returning to the motoring show himself. “Carefully”, before admitting: “I’m not sure what’s happening with Top Gear“. “I’d like to [return], but there’s nothing officially happening yet”, continued LeBlanc. “Call the BBC!” he joked. So.. Is LeBlanc getting booted off Top Gear too, or is he intentionally trying to mislead us? 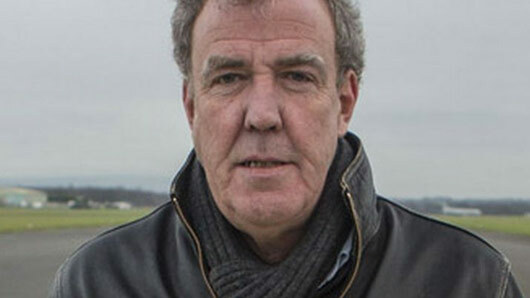 The BBC has previously indicated that LeBlanc will continue to host Top Gear without Evans, and Evans himself has given his endorsement to the American host, calling him: “The captain Top Gear truly needs going forward… Not only does he eat, sleep, breathe and dream engines, propshafts and trail-braking, but the overwhelming quality that struck me about him is that he’s just such a pro … The simple truth is he and Top Gear were made for each other”. LeBlanc’s CBS sitcom Man with a Plan premieres on October 24. We shall have to wait and see what his Top Gear future has in store. The BBC has reportedly cancelled plans to make two Top Gear festive specials. The original plan for the revamp of the motoring series, which was hosted by Chris Evans and Matt LeBlanc, was to make 18 episodes including two festive specials to be released in December 2016. However, the failure of the new series and of Evans as a host has caused officials to shelve their plans for Christmas editions. A source told Radio Times Online: “It’s six [episodes] down, 12 to go. It is hard to imagine the show making 12 more episodes by the spring – possible, but it will be a big ask. The newest series of Top Gear bowed out with the show’s lowest ratings since 2002 earlier this month. It received heavy, regular criticism – especially for the performance of Chris Evans as host. Evans has since quit the show. Matt LeBlanc, who received praise for his hosting on the show, is now expected to take the reins of the BBC’s behemoth motoring show alone. Jeremy Clarkson, Richard Hammond and James May have invited content creators to come forward to contribute to their new online motoring platform DriveTribe. The former Top Gear hosts are looking for individuals with the ability to “write, shoot, film and create awesome stories that have motoring and adventure in their veins”. Successful applicants will become ‘tribe leaders’ on the new site, which has nothing to do with the trio’s upcoming new Amazon show The Grand Tour. ‘Tribe leaders’ will create their own online channels dedicated to specific areas of motoring, including video video content, picture galleries, editorial features and interactive features. Speaking about the new platform, Richard Hammond said: “Gamers have got Twitch, travellers have got Tripadvisor and fashion fans have got, oh, something or other too. DriveTribe will launch in Autumn 2016. To apply to lead a tribe, click here. Matt LeBlanc will reportedly host the next series of Top Gear on his own, following the departure of co-host Chris Evans yesterday. The former Friends star has been one of the success stories of the revamped series, consistently receiving praise from critics despite damning comments on Evans and the show itself. Evans and LeBlanc shared hosting duties for series 23, but LeBlanc has reportedly now been offered the chance to go it alone after Evans announced his departure on Twitter yesterday. 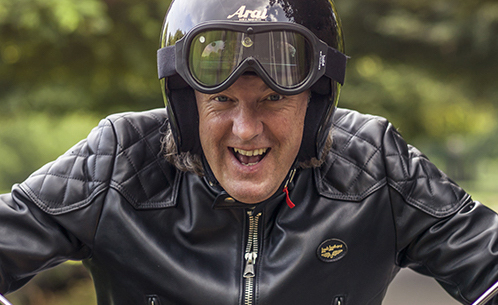 Evans announced his departure amidst the news that the final episode of his series of Top Gear had received the show’s lowest viewing figures since 2002, beating the record held by the new series’ fourth episode. The new series averaged only 2.8 million viewers per episode, a devastating drop from the 5.3 million that tuned into Jeremy Clarkson’s final series. In shock news, Chris Evans has decided to step down from his presenting position on BBC’s Top Gear. The new series has faced a barrage of criticism with viewing figures steadily dropping to a disappointing low for the series’ finale. There have been many calls from fans to remove Evans from the show and let Matt LeBlanc present on his own. There were even rumours of a rift between the two men, citing that LeBlanc did not like the way Evans treated the crew. Chris’ shock departure will mean that he is breaking his contract which was supposed to see the presenter in the role for three years. It is currently unknown if anyone will be drafted in to replace Chris Evans for the second series. The revamped Top Gear set a new series ratings low with its final episode last night, bowing out to less than 2 million viewers. Just 1.9 million viewers (8.7%) tuned into the Chris Evans-fronted Top Gear revamp, beating the series’ previous record of 2.3 million for the fourth episode of the new series. Episode four was the lowest ratings the show had seen in fourteen years, until last night. Top Gear‘s final episode faced competition from the Euro 2016 quarter-final between France and Iceland, which attracted 6.6 million viewers for ITV. On BBC One, a Musketeers repeat claimed 2.6 million while documentary China’s Forgotten Emperor interested 1.3 million on Channel 4. Top Gear has suffered with poor ratings during its six-week run, repeatedly clashing with this year’s Euro 2016 championships in France. Across six episodes, Top Gear averaged only 2.8 million viewers, nearly half of the 5.3 million who tuned into Jeremy Clarkson’s last season in January 2015. There was some good news for Evans and the BBC Two bosses however, as Top Gear remains above the channel’s slot average for the past 12 months (1.7 million). The low ratings are yet another development in the seemingly-doomed revamp of Top Gear.